The Yankees only mustered four hits againt the Rangers on Tuesday night but still managed to come away with a 7-4 win. Wildness was the case for Texas, who allowed three runs in fourth inning on a five walks, a hit batter and a single. But it was Aaron Guiel’s three-run dinger in the fifth that proved to be the decisive blow. Pete Abraham of The Journal News has dubbed Guiel “Ralph Malph.” I’ve got a more random call (and it only works looking at him head-on when he’s at bat): Sissy Spacek. It’s the nose, mouth, the freckles. Work with me on this one. The Yankees also seem to be loosening up. Even Alex Rodriguez, who has not made an error since Friday, playfully kissed teammate Andy Phillips on the back of the head when a scoreboard “Kiss Cam” focused on the Yankees’ bench. After his smooch, Rodriguez got up and walked to the other end of the dugout, raising his arms over his head and winking at the camera. Johnny Damon sat out a second-straight night with a sore back. He is expected to be back in the line-up this evening. 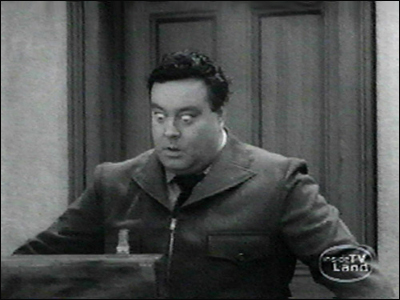 “I don’t want him, you can have him, he’s too fat for me,” Alice Kramden sang to her husband once a long time ago. This was the first thing that popped into my head when I read in the Post that the Yankees have picked up back-up catcher Sal Fasano, previously of the Phillies. Bonzone and now Fasano. I believe that Kelly Stinnett has done a poor job in the role, but can Fasano be much better? Somewhere, someone (or a lot of someones) are chuckling about this one. What’s Fasano worth without that mustache, which I’m sure he’ll have to shave? Also, I remember calling Ron Hassey Ron Fatassy, back in the eighties. Anyone come up with a good one for Fasano yet? This is mine (with a nod to Dimelo): Ron Jeremy plus the late Vincent Schiavelli. Lastly, Jack Curry reports that Phillip Hughes will not be pitching for the US Olympic team, now or anytime soon.